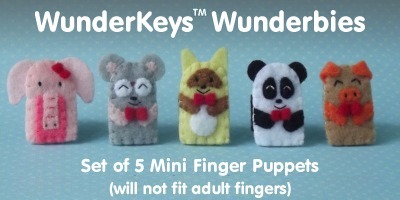 In partnership with WunderKeys, I have developed this special set of puppets to coordinate with the WunderKeys program. 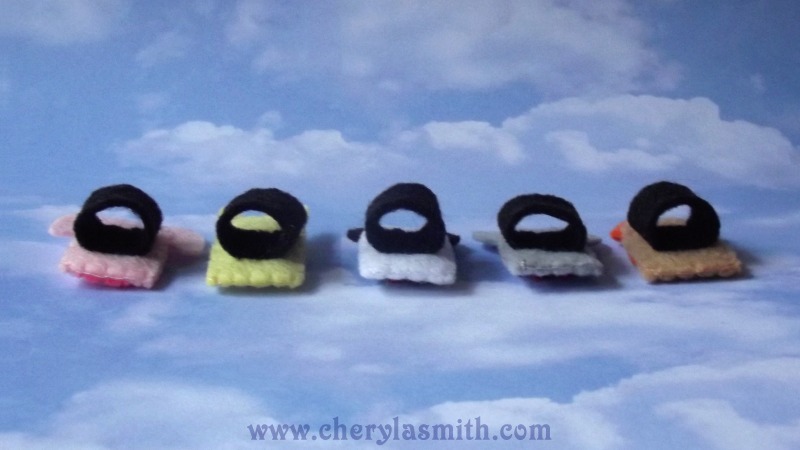 *First Class shipping to a US address is $3.50 total for up to 34 puppets! Please use the menu to select USA, Canada, or International (for shipping outside of North America). 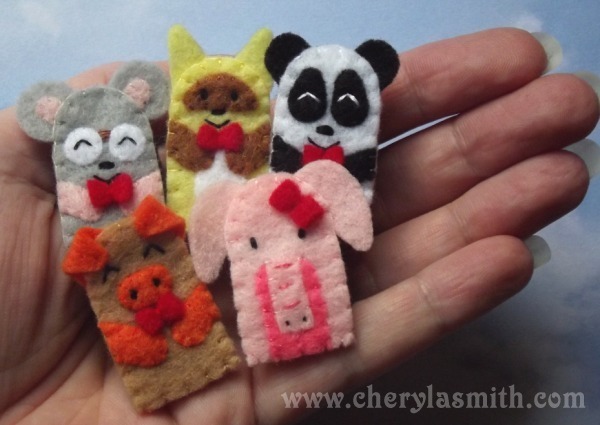 Each of my finger puppets is hand embroidered and stitched in felt from an original pattern. 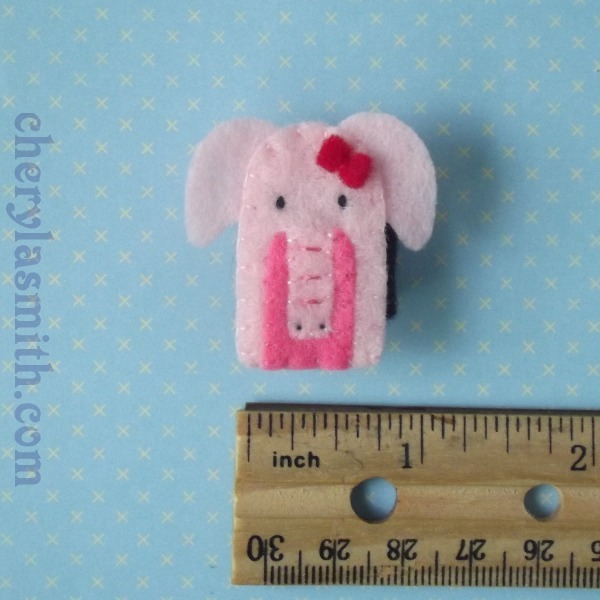 Each puppet body measures approximately 3/4 inches (2 cm) wide by 1-1/2 inches (3.5 cm) tall and will fit ONLY childrens fingers. 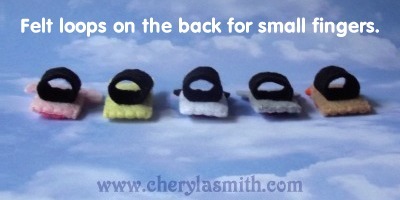 There is a small felt loop stitched to the back side of each puppet, so they may be worn on small fingers. 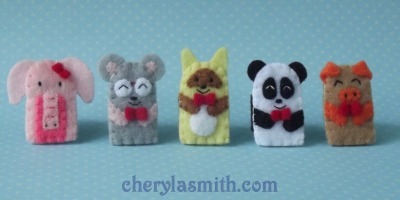 Each character is individually hand made - so facial expressions and stitching may vary slightly from the photos. IMPORTANT: These mini puppets will NOT fit adult fingers. They are very tiny and should be used with supervision. Due to their small size, they could pose a potential choking hazard with small children. These puppets make a great companion to the WunderKeys Program! They are just as sweet when used as party favors or basket and stocking stuffers or special treats just because. Orders are stitched on a first come, first served basis. Out of stock items generally take a few days to stitch - depending on the size of your order. I will send you an email letting you know I have received your order & when I will ship your puppets. (In stock items usually ship the next day.) Email me if you would like a time estimate before placing your order. they may pose a choking hazard for small children.